We’ve already shared the top international bargains in the excellent Hilton Summer Sale, but it’s not always convenient to head abroad, so I thought I’d pick out some of the highlights available right here in the UK too. Stays need to be completed before 7th October 2018 and you need to book a minimum of 3 days before arrival to benefit from the reduced rates. Sundays are usually best for the very cheapest rates, but Fridays and Mondays are often surprisingly good too. The DoubleTree in Leeds is a good hotel in a very nice location, so £39 is almost ludicrously cheap! Leeds may not be blessed with a plethora of great hotels, but the Doubletree would certainly make my top 5 – regardless of price. At Hampton hotels you can fit a family of 4 in one room and all get free breakfast too, so £45 really is an excellent deal – particularly as the rate seems to be available for quite a variety of dates over the summer, including mid-week. 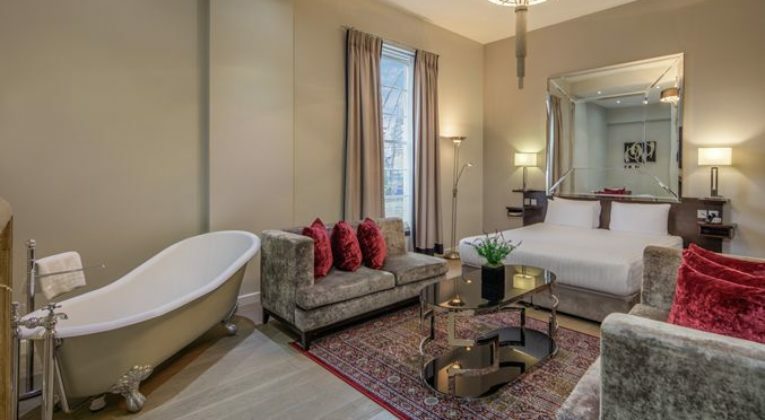 If I was staying myself though, I’d pay an extra few quid and opt for the Garden Inn Brindleyplace instead, which is a better location and better hotel in my opinion. It’s not just regional cities – even the capital can be surprisingly affordable! The trick to get the best deals is to pick your dates carefully and focus on areas that, although not central, have good public transport links and/or are interesting in their own right. 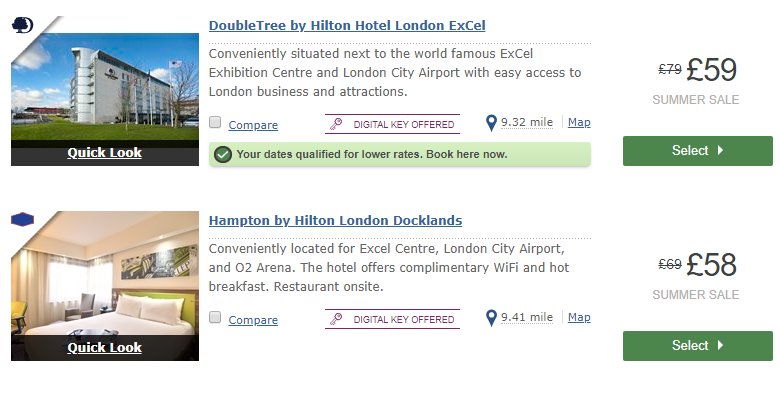 If you’re flying out from Gatwick, the Hampton Croydon is a very solid option. What was that about Hilton Honors Gold status…? You can have a read of the full details here, but essentially, Hilton offers a status match/challenge that grants you Honors Gold status through to March 2020, if you complete 4 stays within a 3 month period. 4 cheap stays at the Doubletree in Leeds would cost £156 in total, if you can snag the £39 rate. You can also potentially match to Diamond if you manage 8 stays – but even I think that 8 Sunday nights in Leeds might be pushing the ‘staycation’ thing a bit hard! The aim of this post wasn’t really to convince you to spend all your summer Sundays in Leeds (fine city though it is! ), but to show that if you pick your dates carefully, you can have a lovely staycation at quality hotels this Summer, without it breaking the bank. Check out the full Hilton Summer Sale here and don’t forget you can currently earn double Hilton Honors Points too! Birmingham Met from £44.00 including executive lounge, free breakfast and pool for diamond members. Bargain. You can only do the challenge once though I thought – so if done a couple of years ago you can’t do it again ? I’m not sure what the terms suggest, but the reality is you can do it more than once – perhaps not back to back though. A few years back I was denied a Diamond challenge because I had done a Gold fast-track the year before. A lot of YMMV with these Hilton challenges, which is one reason why I don’t bother until I have a specific need for the status.